They're made from linen or cotton percale - and each features a small refined detail: a monogram, piping, festoon or frayed edge. 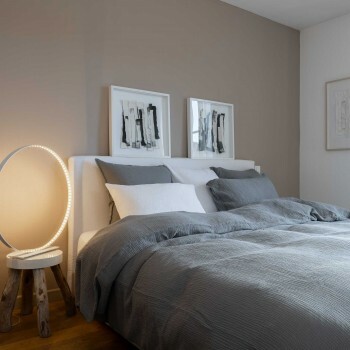 Maison d'été's linen bedlinen ensures your nights are totally refined! To match or mix and match with the flat sheets, our collection features comforter covers, pillow cases, fitted sheets and bed base covers to adorn your bed perfectly - and give your bedroom just the right atmosphere. 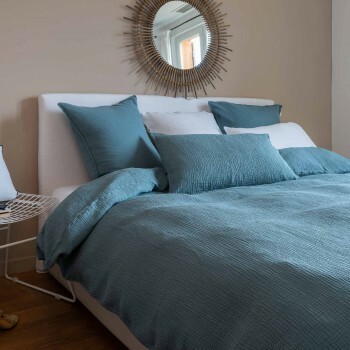 Washed linen bedlinen in a range of soft, restful colors, cotton bedlinen that will win you over with a simple style, or knotted lace embroidery and lace. Let yourself be tempted by this authentic quality, totally contemporary bedlinen featuring noble, natural materials.